Now THIS is a scary movie!! What I mean by that, is that everything in this movie is highly plausible, and you are constantly reminded of how all the stuff that spreads the disease is stuff you or the people around you do every day. This really could happen! And to some extend already have. The tracking of the origin of the disease is fantastic to follow, and also how different governments try to cover their behind and only thinking in short terms. The whole media coverage of the outbreak is also a quite good and realistic picture of, how it is done today. Fear sells newspapers (and gathers blog readers). The whole course of the outbreak (origin, cover-up, denial, panic, profiteering etc.) reminds me of the book World War Z. If you are into this epidemic outbreak-stuff (and like zombies as well), I would recommend you reading it. 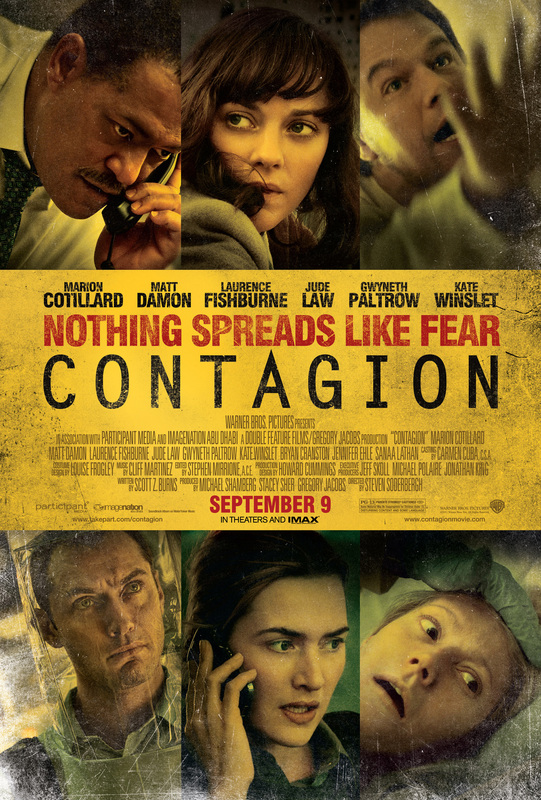 If zombies is a bit too much for you, this is the best outbreak movie I have seen so far. Wash your hands and stop touching your face!